The giant oil fields of the world are only a small fraction of the total number of fields, but their importance is huge. Over 50% of the world’s oil production came from giants by 2005 and more than half of the world’s ultimate reserves are found in giants. Based on this, it is reasonable to assume that the future development of the giant oil fields will have a significant impact on the world oil supply. In order to better understand the giant fields and their future behavior, one must first understand their history. 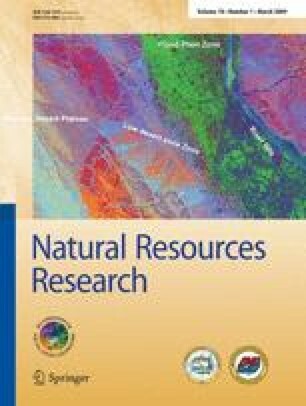 This study has used a comprehensive database on giant oil fields in order to determine their typical parameters, such as the average decline rate and life-times of giants. The evolution of giant oil field behavior has been investigated to better understand future behavior. One conclusion is that new technology and production methods have generally led to high depletion rates and rapid decline. The historical trend points towards high decline rates of fields currently on plateau production. The peak production generally occurs before half the ultimate reserves have been produced in giant oil fields. A strong correlation between depletion-at-peak and average decline rate is also found, verifying that high depletion rate leads to rapid decline. Our result also implies that depletion analysis can be used to rule out unrealistic production expectations from a known reserve, or to connect an estimated production level to a needed reserve base. We would like to thank Fredrik Robelius for providing us with helpful insights and valuable help on acquiring the field data. We would also like to thank Professor Chen Yuanqian at the CNPC Research Institute of Exploration and Development for providing useful discussions about oil field modelling. Finally, we would like to give our appreciation to Michael Lardelli for proof-reading. Arab Oil & Gas Directory, 1980–2008, Arab Oil & Gas Directory 2008 and previous editions: Annual publication by the Arab Oil & Gas Research Center, See also: http://www.arab-oil-gas.com/index1.htm. Campbell, C. J., and Sivertsson, A., 2003, Updating the depletion model, in Proceedings of the Second International Workshop on Oil Depletion, Paris, France, 26–27 May 2003, 16 p. See also: http://www.peakoil.net/iwood2003/paper/CampbellPaper.doc. Hubbert, M. K., 1956, Nuclear energy and the fossil fuels, Publication no. 95: Shell Development Company, Houston, Texas, 40 p. See also: http://www.hubbertpeak.com/Hubbert/1956/1956.pdf. Höök, M., Hirsch, R., and Aleklett, K., 2008, Giant oil field decline rates and their influence on world oil production: Global Energy Systems, report GES PP-09:2, see also: http://www.tsl.uu.se/uhdsg/Publications/GOF_decline_Article.pdf. IEA, 2008, World Energy Outlook 2008: see also: http://www.worldenergyoutlook.org/. Jakobsson, K., Söderbergh, B., Höök, M., and Aleklett, K., 2008, The maximum depletion rate model for forecasting oil production: its uses and misuses: Global Energy Systems, report PP-09:1, see also: http://www.tsl.uu.se/uhdsg/Publications/MDRM_Article.pdf. Mäkivierikko, A., 2007, Russian oil—a depletion rate model estimate of the future Russian oil production and export: Diploma thesis from Uppsala University, see also: http://www.tsl.uu.se/uhdsg/Publications/Aram_Thesis.pdf. Nehring, R., 1978, Giant oil fields and world oil resources: Report prepared by the RAND Corporation for the Central Intelligence Agency (CIA), see also: http://www.rand.org/pubs/reports/2006/R2284.pdf. Robelius, F., 2007, Giant oil fields—the highway to oil: giant oil fields and their importance for future oil production: Doctoral thesis from Uppsala University, 156 p. See also: http://publications.uu.se/abstract.xsql?dbid=7625. Saudi-Aramco, 2004, Fifty-year crude oil supply scenarios: Saudi Aramco’s perspective. Presented by Mahmoud M. Abdul Baqi and Nansen G. Saleri, 24 February 2004 at Center for Strategic and International Studies, Washington, USA. Available from: http://www.csis.org/media/csis/events/040224_baqiandsaleri.pdf. Simmons, M., 2002, The world’s giant oilfields: White paper, 9 January 2002, see also: http://www.simmonsco-intl.com/files/giantoilfields.pdf. Zittel, W., 2001, Analysis of the UK oil production. Contribution to the Association for the Study of Peak Oil & Gas (ASPO), see also: http://www.peakoil.net/Publications/06_Analysis_of_UK_oil_production.pdf.